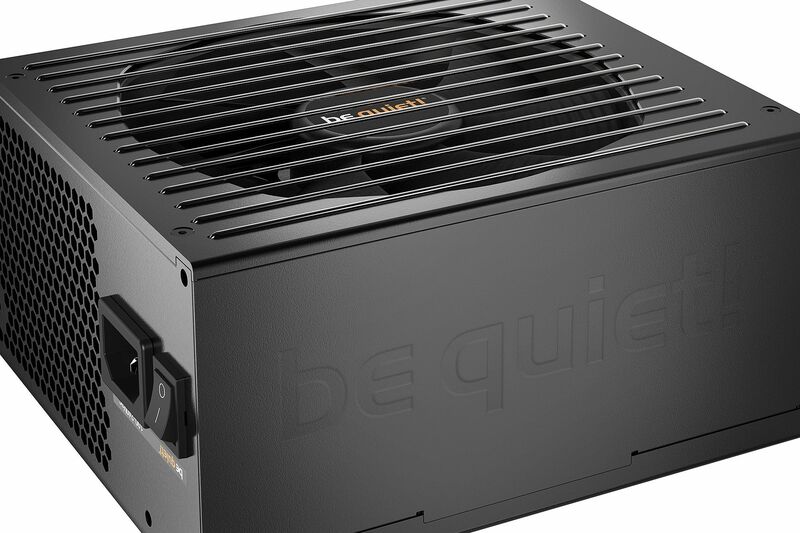 The be quiet Straight Power 11 PSUs offer a plethora of features and exceptionally low operational noise. 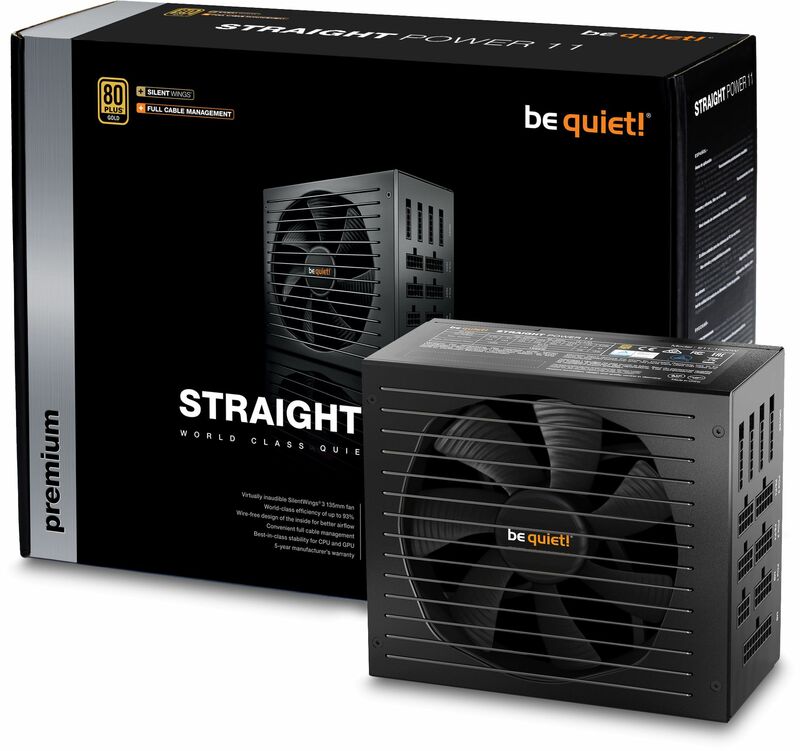 The be quiet Straight Power 11 series raises the bar for systems that demand virtually inaudible operation without any power or quality compromises. They are clearly the best choice for super quiet systems. Whether you're building a high-performance multi-GPU gaming system, assembling an extraordinarily quiet multimedia PC, or simply seeking a better, quieter upgrade for an existing system, the be quiet Straight Power 11 is a great Choice. 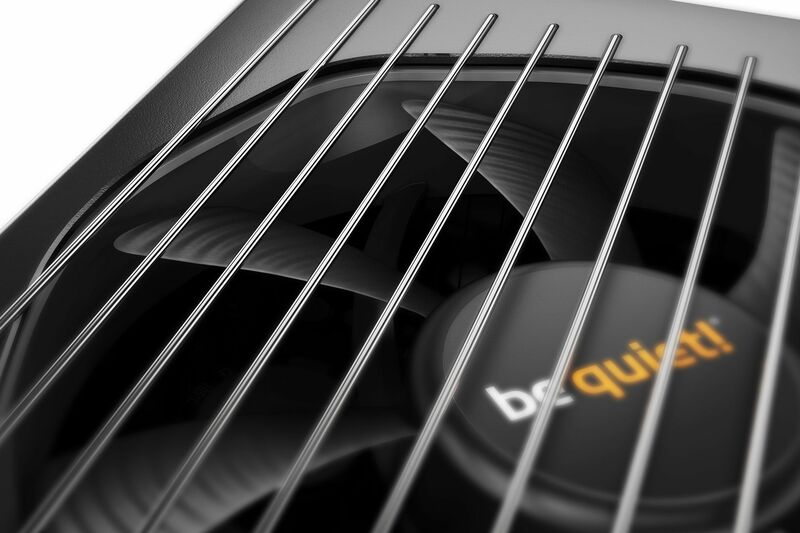 The high-end SilentWings 3 fan delivers best-of-class airflow yet produces very little noise. This is thanks to its unique, optimised fan blade design along with an advanced fluid-dynamic bearing and 6-pole fan motor that largely eliminates operational noise. It has a super-long life and minimal power consumption. The fan inlet of the Straight Power 11 is funnel-shaped. It causes an increased throughput of air which provides higher cooling performance. 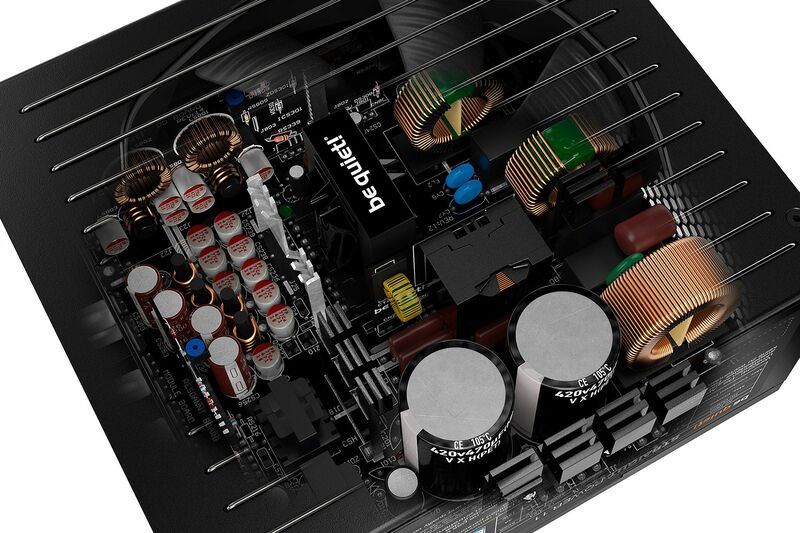 An absolute innovation: The Straight Power 11 is wire-free on the DC side inside the PSU body. This results in improved cooling airflow and less signal disturbance. The benefit of this lack of wiring is that it increases the lifetimes of the components to the maximum. Thanks to the fully modular cable management, cables that serve no purpose in the system are left out. For this reason systems always appear very tidy. At the same time installation is much more convenient. Smoother airflow results from the uncluttered layout of the system, which means lower noise and lower temperatures prevail. Straight Power 11 is 80PLUS Gold efficiency certified, reaching up to 93%. This means less power consumption and a cooler and quieter operation. Truly a benefit for any system. Only the best components are used in Straight Power 11. That is why be quiet have built only used high-quality Japanese capacitors in the PSU. They are rated to 105°C, ensuring stability, reliability and a long operating life.